There was a time when few TV shows were more important to me than “The X-Files.” Had I run into creator Chris Carter, David Duchovny or Gillian Anderson at a mall, I would have squealed in an embarrassing fashion (I still have a Pop Vinyl figure of Scully on my desk). From 1993 to 2002—OK, maybe not all the way to 2002—“The X-Files” was one of television’s most essential shows. It was a crucial part of the change in television portrayals of intelligence in that Mulder and Scully were mainly nerds but they also had red-hot chemistry. The lonely guy who spent his life looking for aliens didn’t really look like Fox Mulder before “The X-Files” and the narratives of Carter’s show made what was once the realm of people in tin-foil hats or diehard sci-fi fans seem cool. Sure, it got bad before it got over, but “The X-Files” is one of the most important shows of the ‘90s. Even with that background, and understanding of my appreciation of the show, I was hesitant when I heard that Carter’s creation was coming back. Not only had I seen Carter’s aborted Amazon show “After” and found it atrocious, but he didn’t exactly stick the landing with the second “X-Files” film, "The X-Files: I Want to Believe." Nostalgia did not feel like the right way to approach these characters. The world has changed a lot in the 20 years since “The X-Files.” How would Carter, Mulder and Scully reflect those changes? The answers provided by the premiere, which airs after the NFC Championship Game this Sunday, is that they wouldn’t reflect them at all. The first episode feels almost stubbornly anachronistic, as if Carter is pissed that his show was ever taken off the air and so he just pulled out a script from 2001 and shot it. Of course, that’s an exaggeration narratively, but there are so many elements of the premiere of this six-episode run that feel like a parody of the FOX hit that it’s almost hard to believe. At one point, I started having flashbacks to when Duchovny and Anderson appeared on “The Simpsons.” This is not a good thing. The premiere is deep with fan service, reminding us about Mulder’s missing sister, Scully’s alien abduction, and Carter’s leaden plotting. 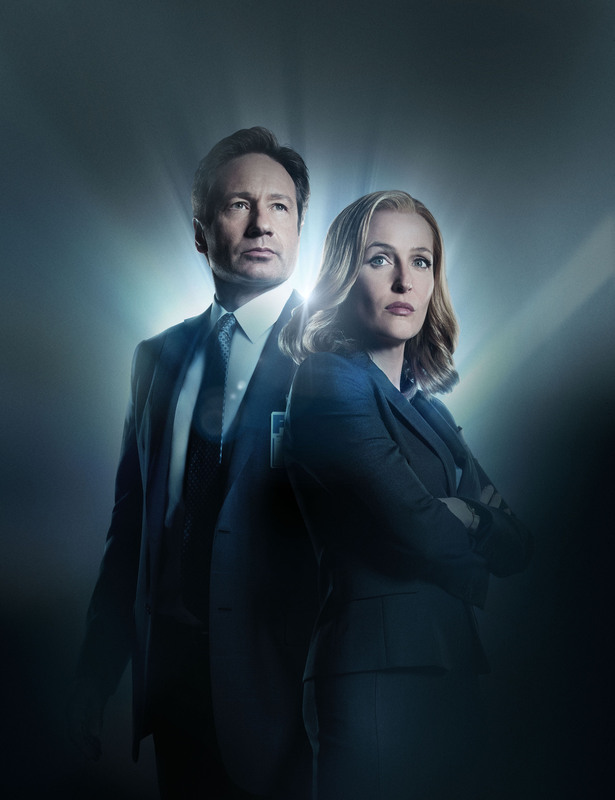 Let’s just say this is way more “The X-Files: I Want to Believe” than the series' prime. The way to bring a show back after 14 years off the air is not to just repeat what worked about it but louder and with a few more gray hairs. The small miracle of “The X-Files” in 2016 is that James Wong and Darin Morgan understand that last sentence, and they were given the reins of episode two and three, which are so significantly better that you’d almost be better off just skipping the first one. If the first episode left me disappointed, the next two made me hope that this six-episode experiment works well enough to justify more. They’re that good. Wong, who wrote and directed 14 episodes (including “E.B.E.,” “Little Green Men,” “Home,” and “Musings of a Cigarette Smoking Man”) and would go on to direct “Final Destination,” writes and directs “Founder’s Mutation,” which airs on January 25th and perfectly blends show mythology (including Mulder and Scully’s kid) with a modern plot. The third episode is a beautiful standalone from Darin Morgan, who did the legendary episodes “Clyde Bruckman’s Final Repose” and “War of the Coprophages” before moving on to produce “Millennium” and “Fringe,” and it co-stars Kumail Nanjiani and Rhys Darby in the story of a Werelizard. It’s hysterical, smart and so much fun. The structure of the half of a mini-season of “The X-Files” is unique in that it almost feels more like an anthology series—give six writer/directors six chances to do whatever they want with these iconic characters. It’s a great idea for a series that can’t just repeat itself as it will inherently feel nostalgic. Hey, if it works, maybe they can use the same structure for “Firefly.” A fanboy can dream.